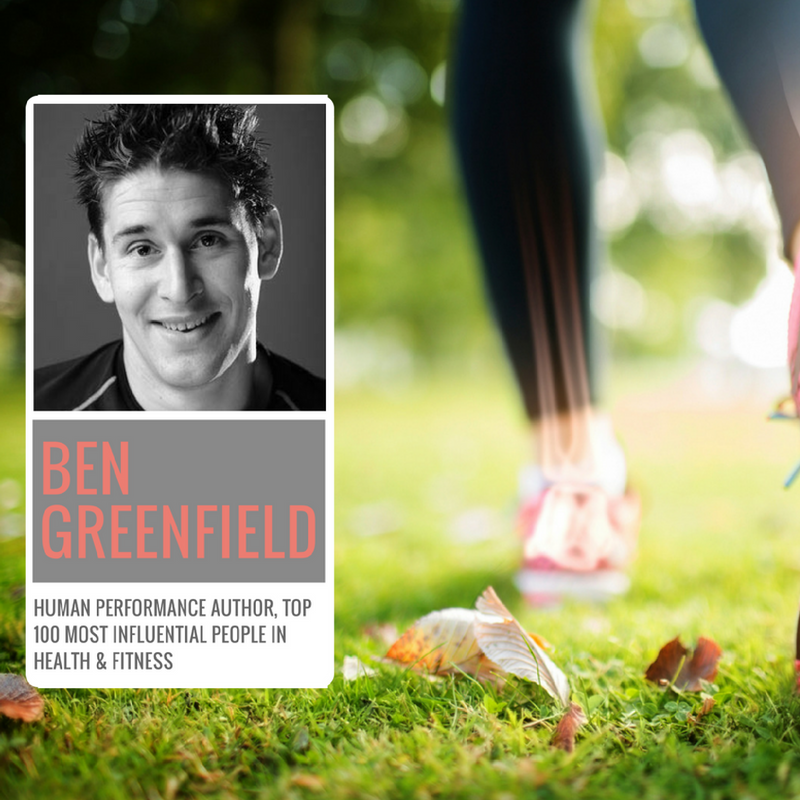 Ben Greenfield has been obsessed since a teenager to use the most cutting edge fitness and nutrition hacks to get the most out of the human body. Today he uses it for the benefit of his audience not only to achieve peak potential but also to feel as healthy as possible on the inside while looking as good as possible on the outside. Over the past decade he has done 10 Ironman triathlons and over 80 other races. He has put his body through the roughest challenges on the planet and figured out some of the best solutions, shortcuts and ways to achieve fitness, health and longevity. His research into the most gruelling competitions on earth have shown him that vitality, life, fitness, looking good and feeling good, and performing well, all go way beyond exercise. Ben Greenfield’s mission is to show you how to get your body performing at peak capacity, with maximum fat burning efficiency and ideal hormonal and health status, in the safest and fastest way possible. Other topics include gut health, mental performance, maximising recovery, boosting libido, and enhancing every possible aspect of you body – rather than just working out like a madman while eating boring food insulting to human taste buds. Listen to Ben’s presentation from last year at the Biohacker Summit in 2015. This includes using strategies such as a standing workstation, taking cold showers, avoiding sitting for long periods of time, using deep diaphragmatic breathing, implementing intermittent fasting, and using a host of other “unconventional” fat loss techniques. Longevity today is a very sought after topic and Ben’s nerdy side has recently taken a deep scan into IGF-1 and NAD as potential anti-ageing medicines. Here and here are the links to Ben’s articles. You will find how Ben naturally increases IGF-1 production in his body and why NAD is such an interesting topic at the moment. An interesting thing about IGF-1 is that it increases the activity of muscle protein synthesis and the activity of muscle stem cells (also called satellite cells) for repair of damaged muscle. This is probably why intense weight training is one of the primary stimulus for a natural release of IGF-1 in the muscle. We know that IGF-1 not only maintains both muscle and connective tissue, but also protects brain cells and heart cells, which is likely why it is often referred to as a potent anti-ageing compound: a veritable fountain of youth. NAD could also be according to some sources one of the most potential drugs for longevity. When it comes to ageing, people are actually accumulating cellular damage. That accumulation of damage particularly around the DNA is affecting the way on how a cell functions and therefore the way an organism functions. In ageing there is also the characterisation of a decrease of energy and NAD promotes energy efficiency. In order for the mitochondria to work we need an efficient supply of the NAD molecule. Ben has extensive coaching and articles on his webpage. Last year he got really into Chaga mushroom while visiting Finland. It is an honour and pleasure to have him speaking again this year at the Biohacker Summit 2016.